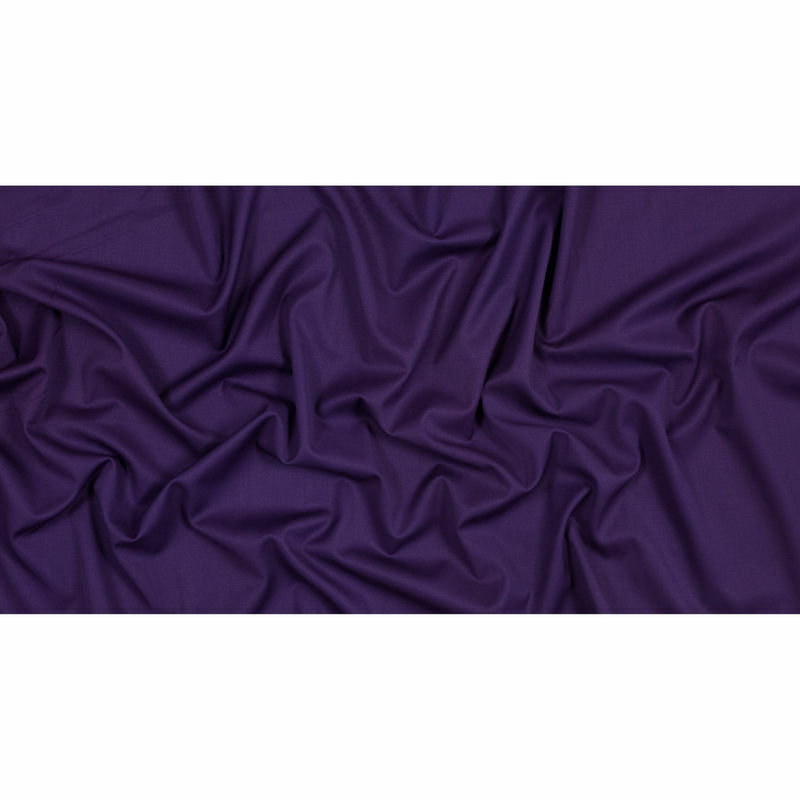 Feel like royalty in this Majesty Purple Stretch Twill Wool Suiting. 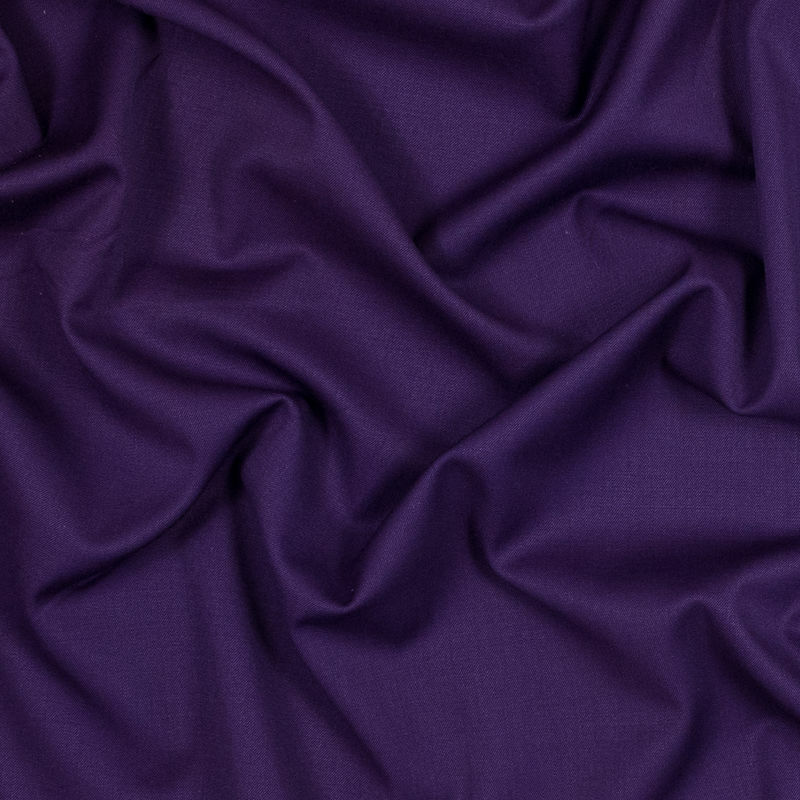 A crisp face shows off a bold purple to add a bit of color to the blacks and browns of office wear. 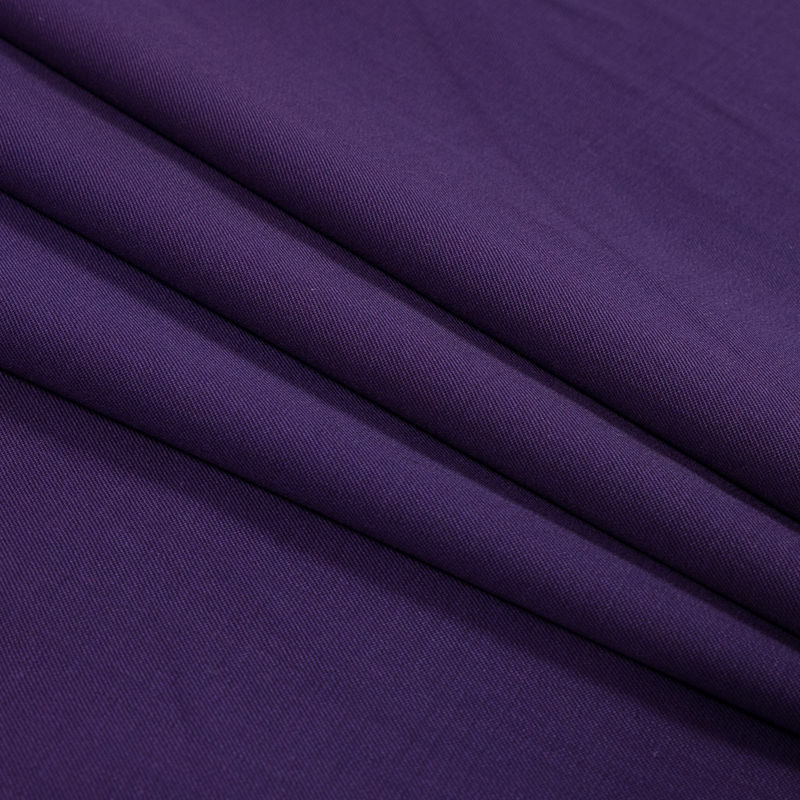 A stretch through the weft provides a flexible fit for comfortable wear, so lean into more fitted designs. Add tapered trousers, shift dresses and bodycon pencil skirts to your work week. 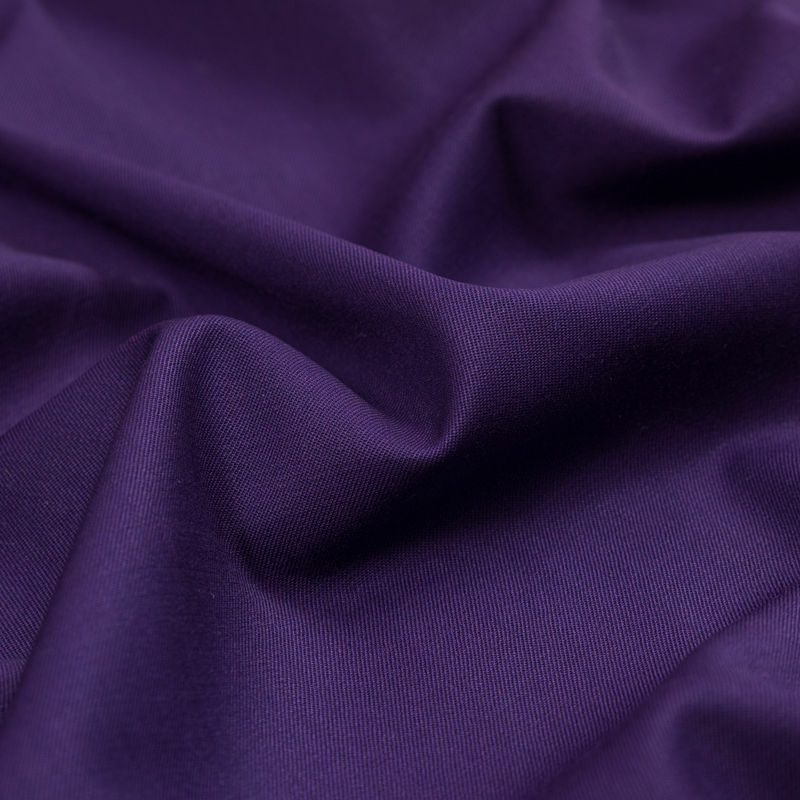 Thin and lightweight, it has a flexible drape to add movement to your piece as well. A lining is solely recommended for additional structure when it is needed.